My Recommendations for High Quality, Reliable, Value Priced DIY Web Hosting | Little Miami Web Works. Effective Marketing and E-Commerce Website Designs. I’ve been asked repeatedly for my opinions on various web hosting providers and web hosting options. So I’ve put together this article: a list of web hosts with whom I have personal experience, and reviews of my direct experiences with each host. These hosts have truly diverse capabilities, features and pricing. I’ll give you specific recommendations for situations ranging from personal/hobby use to established small business. These are all solid choices that I have no hesitation in recommending based on my personal experience. Check out this on-site article: What is Web Hosting? Which item best describes your needs for a website host? This article covers five different scenarios that don’t overlap very often. You’re in business, and it’s mission critical: Your websites are for a currently operating business and you absolutely must provide high-quality, continuous access to your website. And your in-house technical skill set is limited. Personal or small one person business: you need to watch your spending but you still demand a good experience. You aren’t a techie, either. Creative professional or business owner with some self reliance. You want the best experience for your site visitors or clients but you don’t have the deeper knowledge inclination to install or maintain server software. However, you can follow instructions and you understand basic web hosting concepts. Wanna play: Are you a technically adept tinkerer or have special needs AND have a lot of technical expertise? Technology pro: you may tinker but you’re all about business and you want to run your websites your way with your choice of software stacks and tools. If you fit one of these patterns, I have great choices for you which follow. Let others deal with the hassles: Fully managed shared web hosting. Low cost/high quality: Good, inexpensive, basic shared web hosting with CPanel control. High performance full managed private cloud server with extremely high speeds at reasonable prices. Tinkerer’s Delight: Low Cost virtual private servers for the technically experienced. High performance “wholesale” deals: the second largest internet host in the world offers extremely low prices on high performance VPS and dedicated setups. Bring along your “virtual wrench” – you’ll need it! What’s right for you? Let’s see. If you have a real revenue-producing business with employees to keep working and online business to be conducted, I recommend WPEngine as a best choice for your business. WPEngine isn’t the cheapest web host but it covers the support, updating and security needs for average small business websites starting at under $30 per month. Click here for my review of WPEngine. WPengine is the closest you’ll find to “concierge” level service where you needn’t know a thing about web hosting or technicalities, and the provider takes more or less blanket responsibility for your site’s stability and uptime. Their hosting starts at about $30 per month for a single website. WPEngine is shared hosting. The starter plan provides you a shared IP address on a server running other user’s websites. 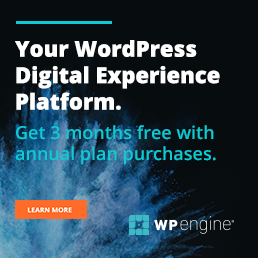 WPEngine specializes in WordPress based sites (hence the WP in the name) so their marketing pitch is that they understand WordPress inside-out. WPEngine’s unique value over other webhosts is in assuring that your site will run in a safe and protected setting. WPEngine makes this happen by “locking down” the hosting environment. They remove any non-conforming plugins from your site that may overlap their tools, or which provide security or other features that are redundant and unnecessary on their servers. WPEngine has a very simple user control panel that gives you the ability to back up your file at any time, or restore a past backup and “regress” your website to an earlier time point, if needed. Speed of WPEngine sites is good but not exceptional on their basic plan. I did recommend to a past client that he use WPEngine and its base plan to host his community message board based business website. The message board software was a “CPU hog” and responded rather slowly at times on WPEngine hosting. I believe that a less compute-intensive website such as a marketing website or an e-sales website would perform far better on WPEngine’s base plan. WPEngine is best for the conventional business without in-house technical knowledge, which needs high availability and reliability for its website or e-commerce sites. To summarize my experience with this host: stable. No problems, hassles or worries since I’ve used them. If you need inexpensive hosting with a control panel, I recommend StableHost over more well known providers. 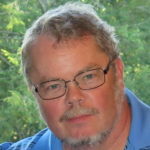 Click here for my review of StableHost. StableHost is an independently-owned alternative to the notorious “EIG companies” which own providers such as BlueHost and HostGator and which collectively have a reputation for declining customer service and slow sites. StableHost provides what you’d consider utterly generic, commonplace web hosting. Stable has CPanel for its users just as hundreds of other host companies do. CPanel is a very common “jet fighter cockpit” level control interface where you set up each of your websites’ hosting parameters – with full control of domain names mapping to web sites, database setup, and other aspects. You need decent technical experience or at least some self-confidence and no “learned helplessness” in order to cope with a CPanel. If you have had a HostGator or BlueHost account, StableHost uses essentially the same tool in CPanel. The reward for being able to occasionally cope with CPanel is self-reliance. You can control your own hosting experience. Independent quality and value: StableHost is privately owned and is not part of a conglomerate such as the “EIG companies”. Stable is priced competitively or better than most of its peers, at least on lower-end plans. StableHost is shared hosting (they sell VPSs, too, but I have no experience with that service.) This means that the computer (CPU and memory resources) and the IP address of your website is shared with a few hundred other websites that are hosted by the provider … mostly little used small business or personal sites. My deal with Stable: I’ve had a StableHost.com account for three+ years which I’ve actively used throughout this period. You save big with StableHost by prepaying for one, two or three years at a time, where they discount the rate per month. Their entry level 1 domain account is priced at $4.95/month. Just do a Google search for “Stablehost coupons” if you want to save even more. Cheap for me. I’m reluctant to say what I have been paying for a 6 GB storage, up to (I think) 10 domain shared Stable account, which I have on a “discount for life” coupon code I originally signed up with… I’m probably grandfathered into a lower tier account that you can’t purchase any more. Let’s just say that yearly it is less than the cost of a McDonald’s meal for a family. I’ve developed several client websites on StableHost. And I have one client site currently hosted on Stable. The speed of StableHost for web development is acceptable. I have one web forum package running on StableHost – and it absolutely flies with great response time. I’ve only needed technical support a few times with StableHost. Their responses have come with a few hours or overnight and are helpful. Best for the personal site or one-person low revenue business and you do need some basic technical skills to understand hosting and website setup options. This website currently runs on a Cloudways server. Cloudways calls itself a “managed cloud hosting platform”. I call it the most amazing hosting service I have ever used in terms of its overall performance, design, function, and pricing. The logic that went into designing Cloudways’ user architecture – its sheer flexibility – is profound. And it’s a speed demon even compared to some dedicated hosting in certain situations. Click here for my review of Cloudways hosting. Here’s what Cloudways is and does. Cloudways lets you select from well known top server companies to host your websites: Digital Ocean, Vultr, Amazon, Google Cloud Platform, and Kyup at present. Each vendor allows you different terms, pricing and range of capabilities. Cloudways is the front end – the cloud server host such as Amazon is the back end. Cloudways allows you to “build” a virtual cloud server from any of these vendors by selecting the gigabytes of RAM storage for your server, and possibly other attributes such as bandwidth allowed for the server. Each back end server vendor offers slightly different customization options. You can in theory install any number of “apps” – websites to most of us – into one server, up to its storage and memory limits. An app is either a WordPress website or a PHP based website (at present). There is no option to install a Ruby or Python web app, for example. You’re billed by the hour for any server that you select. Cloudways will bill you only for the time during which you have in existence a particular server. The cheapest server option is a Digital Ocean 512MB server (only intended for testing or one app) for $7 per month or 2.36 cents per hour. So you’re not stuck paying for a month if you try a particular server for a couple of days and then want to remove it. IP addresses: dedicated per server. Please note just one fact: add-on IP addresses are not available (I checked.) You must create a second server if you need more than one IP address. Hosting is completely scalable on a moment’s notice and is priced for exactly what services you use. You can scale instantly by creating new servers in your account. You may have one or multiple servers in your account. Each server is charged to your account per hour. You may freely move apps (entire websites) from one server to another with a control panel operation without dealing with duplicating files or MySql databases when you move apps. Web designers, you can push a server to another user’s account. So a web designer who uses Cloudways for the website design for a client can simply instruct the client to set up his own Cloudways account. And then the designer can push the server containing the client’s application to the client’s Cloudways account in order for the client to take over the hosting expense. Cloudways essentially makes it possible for those of us with real lives and real businesses to tap the high performance of these top-rated, high performance server providers – by using a consistent, uniform control panel. All impressive enough. But what actually sold me on Cloudways? SPEED. 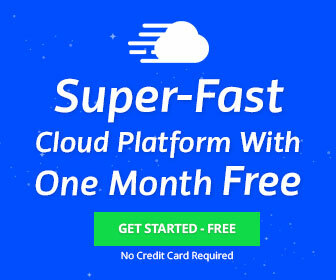 The INCREDIBLE speed of Cloudways servers – even the lowest priced Digital Ocean server – when serving a very database-intensive website with a membership forum. With no tinkering, tuning, installation of complex server enhancements, or experimentation with various caches or plugins. The work of tuning the speed has been done for you on Cloudways. THAT sold me. The speed of Cloudways (timed from a watch, visually) in displaying a forum page was about 33% faster on the Cloudways server compared to a dedicated server I have had in production since February. Refresh of a particular page would happen in 9 seconds in the lightly loaded dedicated server and was completed in 6 seconds running the same website code on Cloudways. I ran the test about 5 times and the speed difference was invariant. I have about 1 month of track record with Cloudways. I recently just made a decision to dump my 32 GB RAM, 2 TB disk, Intel core processor, dedicated server (described later) and move all of the sites that were located on it to a Cloudways server instance: $23/month, Vultr server, 2 GB RAM. Cloudways will cost me 1/3 the expense per month compared to the dedicated server. Technical support and location: Cloudways is curiously based in Malta, the Mediterranean island nation. Their chat window appears to always be available, however. The English skills of their staff have been a little rough, but the support so far has been pleasant and acceptably complete for me. The control panel of Cloudways is so well designed, though, that I haven’t really needed much support. Best for any user – personal, small or “real” business – or web design agency – which values scorching website responsiveness. You do need some basic CPanel level technical skills to understand hosting and website setup options with Cloudways. How about a really decent Virtual Private Server (VPS) with SSD hard drive, for really cheap? Click here for my review of Virmach VPS hosting. Add-on IP addresses available for a one time setup fee. I am informed by those who know about such things that such a low-memory server is very unequipped to deal with the computational load of even 2 or 3 website visitors at the same time. So my testing was certainly not adequate. A budget Linux learning platform. You can install anything on a VPS, including various languages and non web servers and packages. A custom monitoring solution, for example, to run your own bespoke code which monitors other websites or servers. Static websites. I would trust a Virmach server with non PHP static websites. I have had a Virmach VPS since the winter of 2016. A few times the IP for the server became unavailable. I inquired using Virmach’s ticketing service and the next day they had replied that the outage was due to a DDoS attack- they had to take groups of IP addresses down temporarily. Reputation: I did some searches on sites such as WebHostingTalk and I found that there was a wide range of opinions, ranging from very happy, to some very negative comments complaining about technical support and billing practices. Virmach is best for self reliant, Linux-knowledgeable experimenters and for non-mission critical applications such as personal and hobby websites and custom programming projects. My opinion of OVH.com web hosting: extremely high value for the money but you absolutely must have self-reliance skills and know your way around web hosting technology. Click here for my review of OVH web hosting. OVH is a French company and is alleged to be the second largest provider of web hosting and data centers in the world, only behind Amazon Web Services. Think of OVH as a wholesale provider of raw technology services. Like any wholesaler they have rock bottom pricing on commodity services. They won’t have an easy to use onboarding process and few or no creature comforts for individual small business users. Important note: Again, OVH is similar to its business peer, Amazon Web Services (AWS.) Both require an IT person to manage hosting accounts with them. If you are actively considering AWS, then you will have the capability to deal with OVH hosting. And OVH may provide some options and price levels that complement AWS offerings. If you have a full-time or on-call technical support person available, OVH is an excellent choice for any level of user: business, small entrepreneur, or website agency. Dedicated web server specs: 32 GB ram; 8 core Xeon processor; 2TB online storage (not SSD); 250 MB out, 1 GB in bandwidth, unlimited allowance per month. Server is sited at their Beauharnois, Quebec server farm. $69/month. VPS server specs: “VPS 2016 SSD2”: 4 GB ram; 1 vcore; 20 GB SSD disk; 100 MB in/out bandwidth. $6.99/month. You can order additional IP addresses for either server type at a one time price of $3 per added IP. Technical support: Trouble tickets sent through the web can take days to be answered, if ever. I’ve called OVH at their Montreal location a couple of times and English speaking technical support was available readily. Ordering and setting up a dedicated server with OVH is “interesting”. Or painful. OVH was running a one-week $25 trial of certain of their dedicated server options. I started my hosting with the dedicated server by ordering this inexpensive option. The short story is that you are entirely responsible for setting up the operating system on your new server using a poorly documented control panel. OVH’s dedicated servers at the time could not be ordered with the OS pre-installed. I was on my own. A “root” password isn’t supplied by the Linux installation on dedicated. The particular challenge with installing a Linux distribution such as Debian on a “headless” remote server is that initially you have no root login access using SSH with a password, because root has not been assigned a password. So how DO you log into your newly installed Debian OS on your dedicated server? The key is literally that – a key pair, that is. You must generate a pair of RSA key files before installing the OS. You then provide the public key as an option to Debian when you start the installation. Log in as root the first time: Once Debian is installed with that key, you may log in with an SSH client such as PuTTY, the desktop Windows world’s favorite SSH client terminal program. You must specify the RSA private key file in PuTTY’s configuration. The RSA private key supplies the security credential that allows you to log in as root. Once you are logged into your server as root with SSH, you may install any GUI, server, language, or assistive software that you require. You may also (finally) set a root password in order to normalize the experience of logging in. Go to OVH.com for details about their dedicated and VPS options. Heck, go to OVH.com to purchase just about any server configuration you require. They do it all. All dedicated and most VPS plans had to be paid manually by the user initiating payment for one, two, three, or more months at a time, even with a credit card on file in the hosting account. My review may come off quite a bit negative but I currently run a VPS from OVH and I love their system reliability and stability. My issues with OVH have to do with their low-overhead business model and their lean approach to onboarding new web hosting users. Again, dealing with OVH has a very wholesale services, B2B flavor. You have to know what you want and you have to be self-reliant. The reward is top quality reliable, DDoS-protected hosting at excellent rates. OVH is reliable enough for any business application, cheap enough for frugal self employed types, but is best for users with strong in-house technical knowledge and skills.